This one looks a little plain but it was created just the way they wanted. 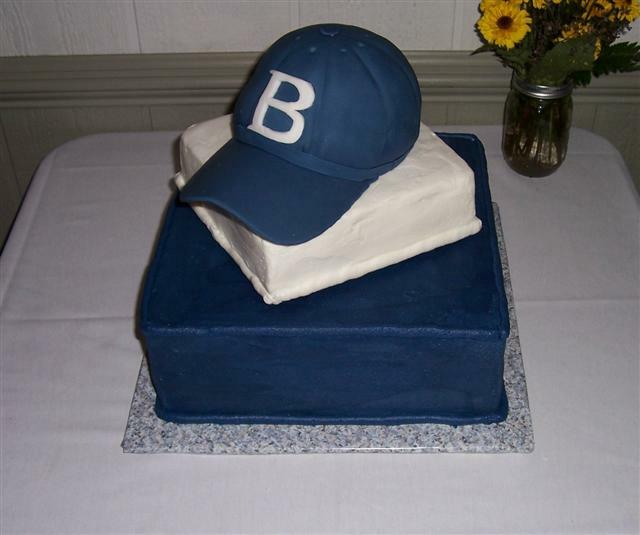 A large square cake at the bottom with home plate and cap on top. The cap was 1/2 of a ball cake and covered in fondant with the grooms monogram.